Hollywood Ready For Tech N9ne? There are many things that draw people into the world of Tech N9ne. His music touches different people around the world. His personality is like none other. When Tech hits the stage, it’s like he is the star of a large Hollywood production. Already a master of his craft, would it be so far fetched for Tech N9ne to consider a career in movies? As recently reported by our blog, Tech N9ne has joined the cast of Night of the Living Dead: Origins 3D. 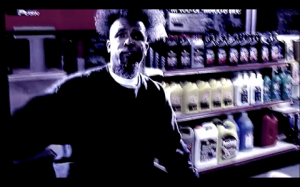 A re-imagining of sorts, Tech N9ne is set to appear in a cameo role. Acting though, is not something new to the Kansas City rapper. Tech has appeared sporadically in a few films in the past. Mostly in minor roles, the rapper has had a little experience in front of the camera. Among several documentaries, Tech appeared in the 2006 film Vengeance. The independent release also starred Danny Trejo, Baby Bash, Diamond Dallas Page, and Jason Mewes. Later that same year, Tech was asked to head up the score for the real life drama Alpha Dog. Although plans later changed, Tech N9ne’s music was still prominently featured in the major motion picture. 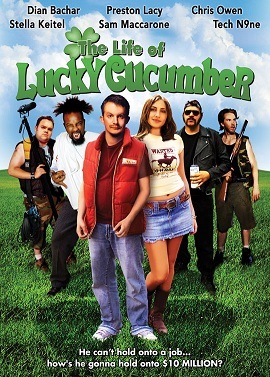 In 2009, Tech appeared as himself in the comedy faux-documentary Life of Lucky Cucumber. Starring Preston Lacy, of Jackass fame, this film was also an independent release. Knowing just how theatrical Tech N9ne could be on stage and in real life, it is no wonder he was cast as himself. Taking that into consideration, its not really a stretch to think that Tech N9ne could one day be cast in a leading role. Rappers like Snoop Dogg and Ice Cube have been staples of Hollywood films for years. They have found another outlet to express their creativity, not to mention the money to be made. Comedies such as Next Friday and The Wash benefited from the blend of Hollywood and hip hop. In more recent years, rappers like T.I. have found moderate success in a string of films. It has become evident that movie studios are turning to rappers’ drawing power to boost ticket sales in an otherwise uncertain industry. Following in the footsteps of many before him, should Tech N9ne step into the world of acting? Could he be the next action star? Perhaps Tech could tap into his dark side and give the performance of a lifetime as a criminal mastermind. We are all aware of Tech’s split personalities: The Clown, The King, and The G. Tech N9ne’s personal life plays out like a movie over the span of his albums. Would Tech ever consider playing himself in a bio-pic? We would like to hear what you, the fans, make of all this. 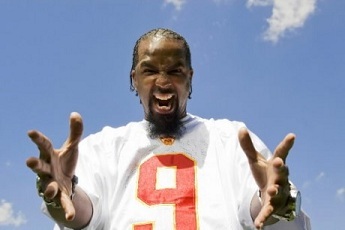 Would you ever like to see Tech N9ne conquer the world of acting or would you prefer he stick to music?